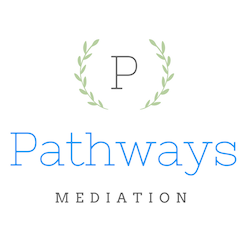 At Pathways Mediation, we believe mediation provides the opportunity for individuals to find peaceful and lasting solutions to disputes, through an informal process which ensures consideration of the interests each party. Pathways Mediation is a professional mediation service located in Exeter, New Hampshire, specializing in Divorce and Family mediation. Although we cannot change the past, through the mediation process, Pathways Mediation can assist you in reaching an appropriate and innovative settlement of your legal issues, and help shape your future in a way that best serves your individual needs and interests. We serve individuals and families in the greater Seacoast New Hampshire area, including Rockingham County.